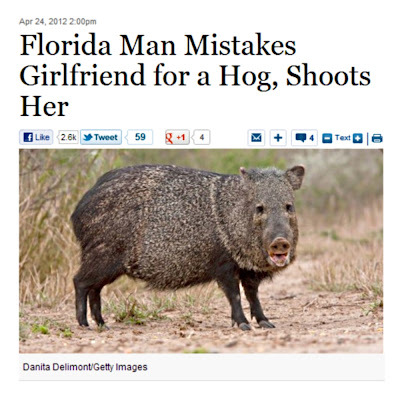 There's one hapless hog hunter in Florida who has some 'splainin' to do on, oh, so many levels. I think I'd best leave it at that. The story is here.